Get active in Suisse Normande! Straddling Calvados and Orne, on the border with the Alpes Mancelles, explore Suisse Normande, an area packed with nature and outdoor activities. Suisse Normande has a wide range of leisure activities, you are sure to find something you like in Suisse Normande. 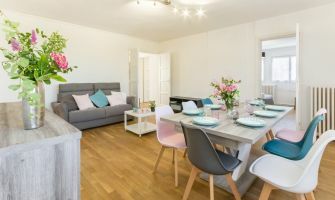 Visit the town of Falaise and its castle which belonged to William the Conqueror, book a group cottage that sleeps 10 people near Clécy and have fun canoeing, kayaking, riding a pedal boat or simply swimming. Suisse Normande is home to a wide range of outdoor sports and leisure activities: hiking, rally raids, mountain biking, paragliding, hand-gliding, climbing, via ferrata, tree top rope courses, motorcycle tours, fishing, dune buggy rides. 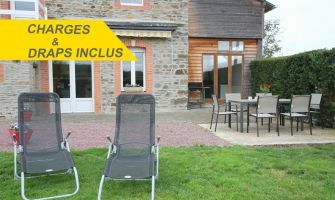 Book a B&B in Clécy with the Gîtes de France and take a breath of fresh air while walking along a GR hiking trail, along the Crest Route, one of the numerous scenic routes. There is no shortage of trails and walks in Suisse Normande. You can also explore Suisse Normande in a motorhome, find a campsite with a swimming pool, set up a bivouac near Thury-Harcourt or drop by one of the open-air balls by the river Orne in Clécy or Pont-d'Ouilly. 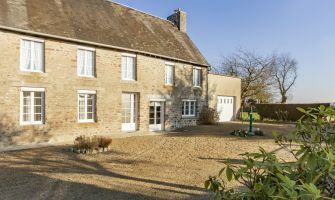 You can also visit or stay in a dairy farm in Suisse Normande, take pictures from the top of the Roche d'Oëtre or book a self-catering holiday cottage with swimming pool. Nature and outdoor sports lovers, Suisse Normande in Normandy is the perfect place for you! Browse all the main attractions and places to visit in Suisse Normande! Play sport in the air!